To optimize the service of our page, were using cookies. With the usage of this page you accept this agreement. Don't show this hint anylonger. Welcome to easyHotel Frankfurt City Center! 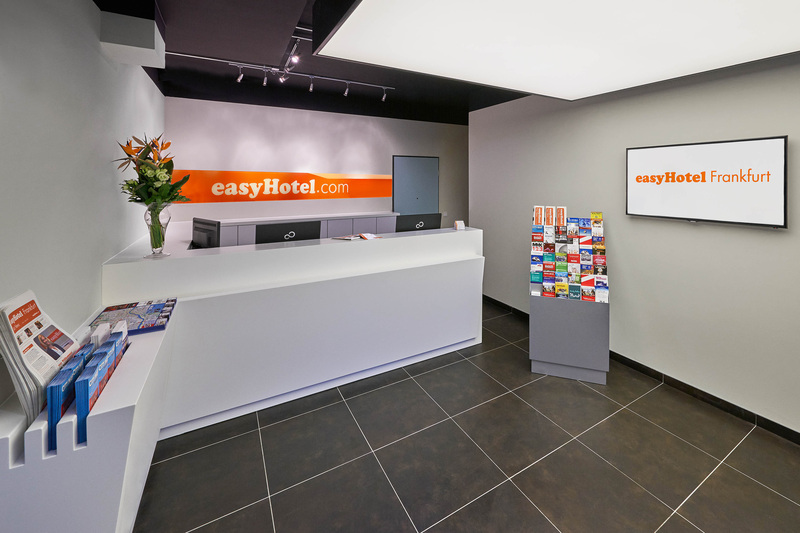 In January 2015, the long-awaited second German easyHotel opened in the metropolitan city on Main River. By adding business and triple rooms to the room offerings, the proven concept was adjusted to the specific requirements of the new location. 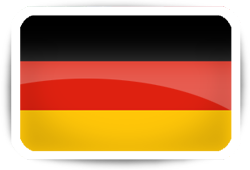 Those who already stayed at our hotel in Berlin know, the value for your money is unbeatable! easyHotel.com stands for "simple comfort, great value". 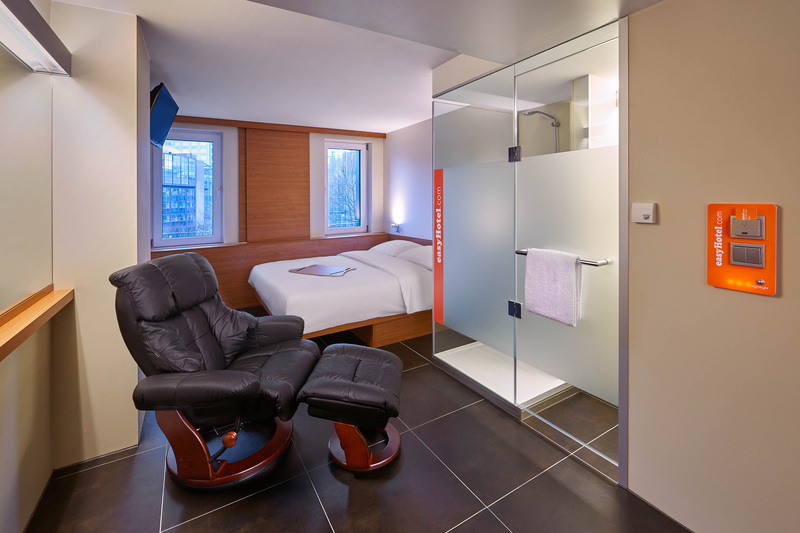 The "no-frills" concept (so no unnecessary extras or hidden costs) allows us to offer our guests the best prices in the city without having to cut corners when it comes to cleanliness, comfortable beds, and privacy (max. 2 persons per room, except triple rooms). What more does one really need? 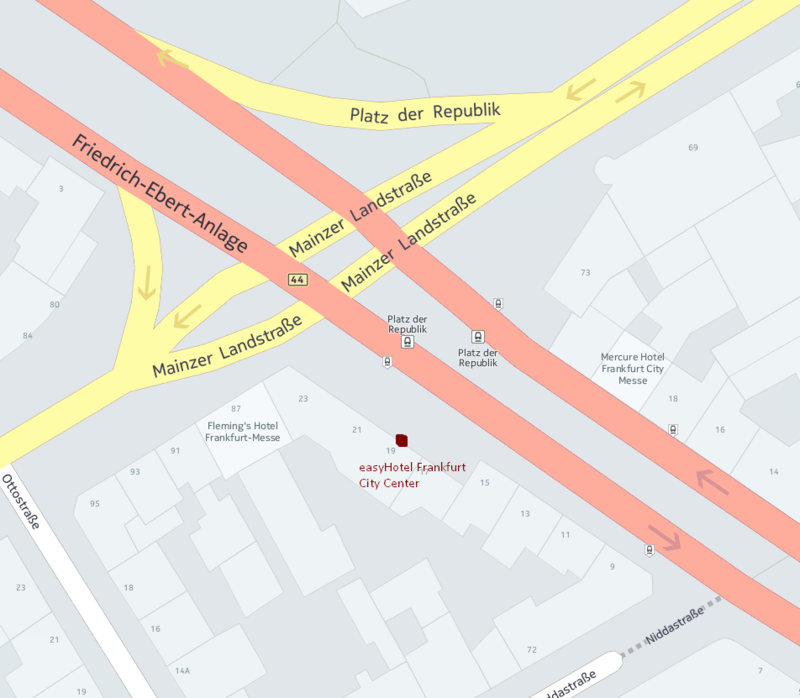 Frankfurt, great location right by the main train station, so much to see and experience –no one actually wants to spend more time at a hotel other than to sleep and shower, right? It's exactly this idea what’s behind the concept. Please note: We do not offer breakfast or any food services directly; vending machines for drinks and snacks are available. However, the extremely convenient location offers numerous diverse dining options at all times and in close vicinity. 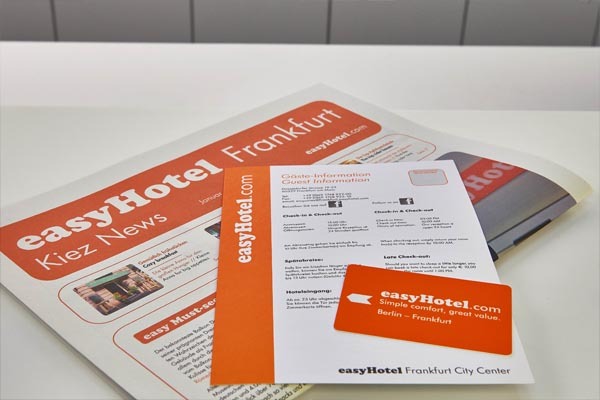 You can find the easyHotel Frankfurt City Center near Platz der Republik in Frankfurt - Mitte. "Frankfurt am Main: The right place to be for over 700.000 people"
"Senna Gammour: Presentation of the easyHotel Frankfurt City Center"